Foodservice Professionals: Visit Us at CATEX 2019 - Booth F27 - Marco Beverage Systems Ltd.
We are happy to exhibit at the 2019 CATEX Show, showcasing our range award-winning tea and coffee brewing solutions. You will have the opportunity to check out our full range of innovative foodservice equipment on display at our booth F27. We’re also very excited to announce there will be an exclusive new product preview, premiered for the very first time in Europe at our CATEX booth.Along with our exciting new product, we will be showcasing our other award-winning catering equipment including a full range of hot water boilers and commercial coffee brewers . Here are some of our popular products that will be on display at CATEX. Our Marco MIX water boiler range is available in undercounter and countertop boilers, both providing precision in volume control and temperature. This range is designed to accurately keep the water temperature constant thanks to its vacuum insulated tank, which maintains water quality. The vacuum insulated tank also ensures energy-efficiency and the award-winning MIX is up to 70% more energy-efficient than leading competitors. The undercounter range uses a sleek font for water dispense so it is ideal for face-to-face customer interaction and more counter space. 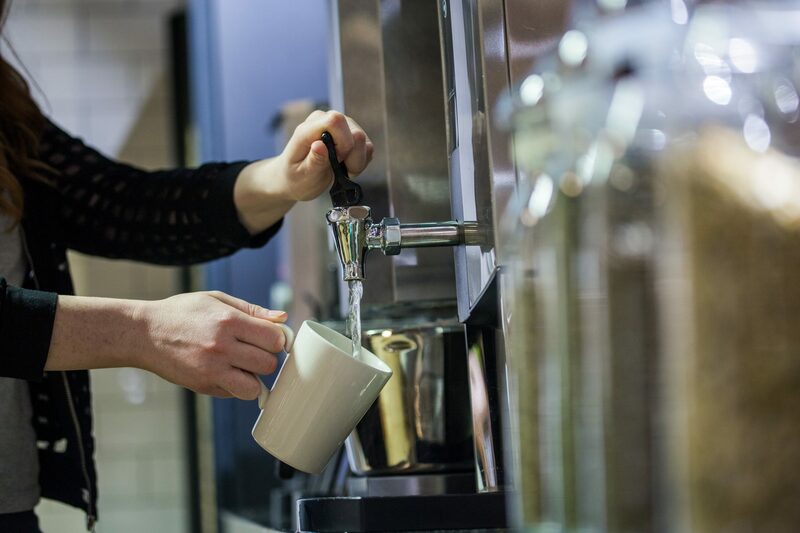 With three different temperatures from one water boiler, you can save time and space in your business. 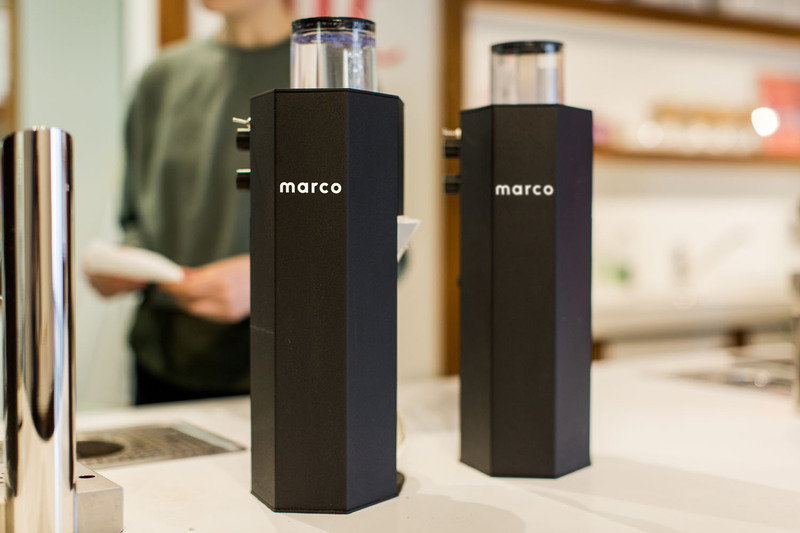 Our Marco Jet range is ideal to help you make the perfect batch brew. The Jet range consists of our Marco Jet 6 brewer, Jet Twin Brewer, Jet Urn and Grinder. The Marco Jet 6 offers precise portion control. 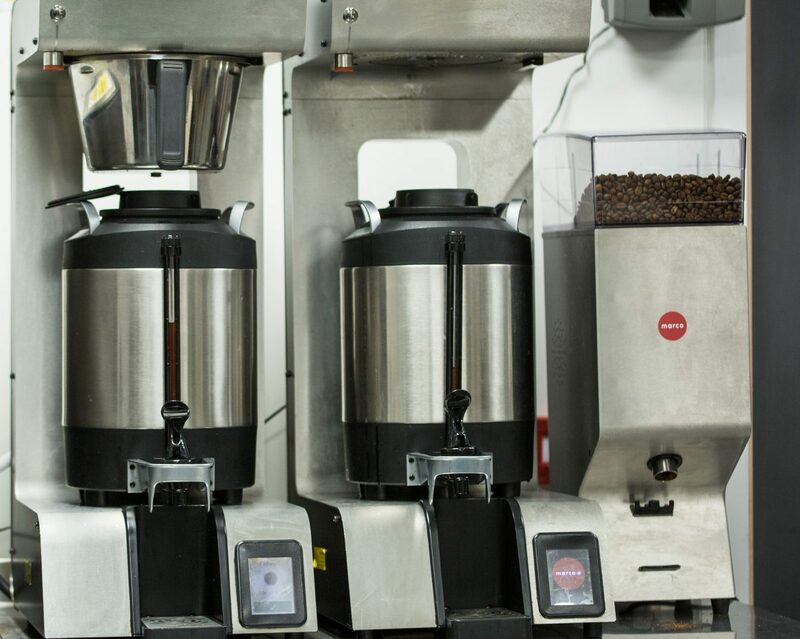 You can program three different batch sizes to suit your service needs. The Marco Jet 6 ensures temperature consistency by circulating the water around the machine, minimising temperature fluctuation during brewing. 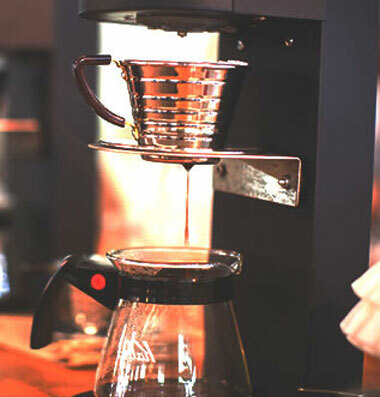 A constant temperature ensure that you are getting the best out of the coffee’s taste. Jet also allows for back-to-back brewing on demand and the urns feature world class heat retention. The Marco Jet Grinder works with the brewer to automatically calculate and portion the precise amount of beans as per the pre-set recipe, this minimises operational error and waste. The design of the SP9 ensures delivers excellence in coffee brewing while giving up minimal counter top space. 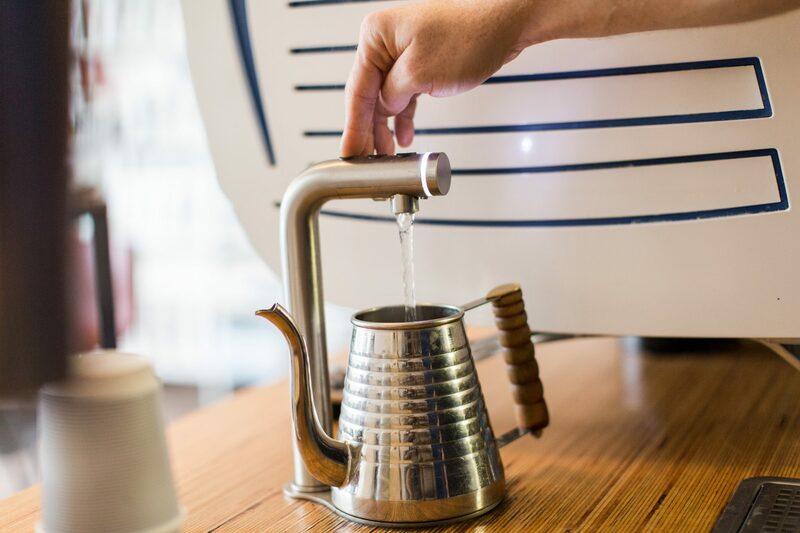 The SP9 accurately pulse brews which replicates hand brewing without the fluctuation in quality and volume. 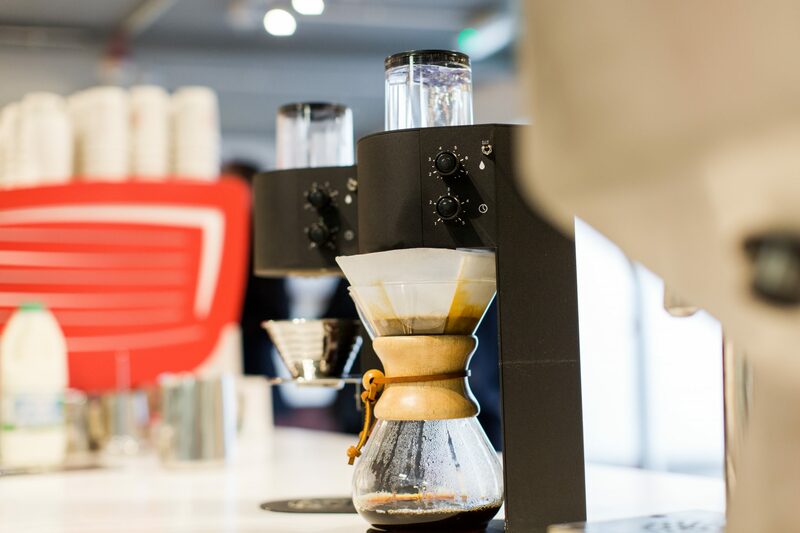 This is ideal for consistent by-the-cup brewing for your coffee shop. Temperature is kept constant, which brings out the best taste of the coffee and maintains quality with every brew. Our Ecoboilers are available for countertops or under-counters versions with two available font options. These boilers are made up of 95% recyclable material. Our Ecoboilers are very easy to descale and service, which gives you value for money. These boilers can hold ranges in 4 to 45 litres, depending on your business demand. We have a range of sleek and reliable fonts to accompany the under-counter range. Our Marco Tubular Font is ideal for large events and concert venues. The Marco Uber Font is a barista favourite, which can be fed by two different boilers while still delivering excellent results. We are looking forward to seeing you all at CATEX. Make sure to catch us at booth F27.